New website to download Blood Dosbox Launcher! digital download.. Made to get your Blood game up and running fast. Works with all versions. Supports lan game or internet game with Hamachi. Does all the work makes all nessary Dosbox config files. Fix launcher from creating a file called RRLSettings.ini. Crash sound fix for Blood TC Addons. Crash fix for Blood Shareware v1.11. Added support for GOG Galaxy Client Blood: One Unit Whole Blood. Added DOSBox Audio settings in Options Menu. Added Support for SVN-Daum Dosbox. Enable in options menu. Added CD Music Volume control. Added Brightness control in Options. Added Mouse Sensitivity control in Options. Added Mouse X-axis control in Options. Added Mouse Y-axis control in Options. Added Dosbox memsize control in Options. Blood Dosbox Launcher in a separate folder by itself. New CD-installation method. Copies and Extracts the files over to Blood Dosbox folder. New GOG\ATARI-installation method. Copies the files over to Blood Dosbox folder. Removed Default folder saves in favor of New Options Menu. Renamed Video\Sound Menu to Option Settings Menu. New Options Menu. Reprogramed with new options and works the way it should. the files from cd-rom's to speed up install methods for cd-rom installs. Added support for Atari.com Download version. Which is the same as the original GOG v1.0 Installer. Updated build to VS Express 2012 for Desktop. Added new icon from supergoofy. Changed MouseSensitivity back to 32768 default. DosBox Config Ram set at 63MB. Set the right mouse button as alternate fire. Fixed default saved configs not working with Tc addons. fixed Blood custom setup configurations not saving. Added Save Config in Video and Sound Menu. sound irq 5, or 7. Updated to work with GOG new version setup_one_unit_whole_blood_2.0.0.21.exe installer. Updated to work with GOG new version of One Unit Whole Blood v2 installer. GOG DosBox Config files no longer get Change by launcher. Only the launcher DosBox Config files get changed. Added a cutscenes only image file to mount for when No Cd Music is selected. Fix music not playing when selecting music in play a map menu. drive D:\ when starting a game, for custom music in-game. "CDIMAGES" folder. Then select in video and sound menu. You can now make custom Bin\cue file images for Music. Just place your Bin\Cue files in Folder called "CDIMAGES" in Blood's main directory. Virtual cd drive instead of Bin\cue. Change the TRACKNAME1 thur TRACKNAME12 to your Track song Titles. this is what will show up in selection box in Play a map menu. Any Tracks you don't use leave out. Made some programming changes to Dosbox Starter Menu. Do a fresh install with this version! Added some new video option settings in Video\Sound. Changed default Video settings on startup. Much better frame rate. and DosBox V074.01 svn for the music looping and volume problem. So just check the box after you start the launcher. do not want the Shareware version. can be deleted if you do not want them. OUWB. The Folder .\CRYPTICS can be deleted if you do not want. Multiplayer, Levels and Maps use Blood.exe from main directory. Added new buttons to make it look good. Added a Dosbox Starter Menu. Access from TC ADDONS Menu. folder with all the files needed. Know Problem with saving a game in levels or Maps with No Monster. do with Blood DosBox Launcher. Do not save Games with No Monster. the selection menu will display the wrong selection items. Fixed MIDI or CD Music not playing when you start a game by selecting a specific level or map (Play Level and Play Map menus). now select difficulty in-game before map or level loads. Fixed wrong pic showing up for E5l4. Changed Blood logo pic, and minor changes on Menu. Remove the "Tada" sound when you execute the Launcher, that's REALLY annoying! BLOOD tools get Installed after Blood Install Program runs. BLOOD Now gets patched for Blood v1.00 to V1.11 after Blood Tools Install Program runs. Cut Scenes now get copied over during install. Now Cryptic Passage can be installed anytime from the Main Menu. Now BLOOD Plasma Pack can be installed anytime from the Main Menu. BLOOD Plasma Pack Tools get Installed after Blood Plasma Pack Install Program runs. BLOOD Plasma Pack Gets patched with the Plasma V1.11 Patch after Install runs. to 4-5 Minutes in Dosbox. Build upgraded from MSVB 2008 to MSVB 2010.
longer work with XP 64 Bit, and Vista 64 Bit. Embeded DOSBox 0.74 in Launcher, so as to Update older versions of DOSBox. Added support for user to add other Add-ons and Maps with Mini episodes. Remove NOLFB.com, Because DOSBox 0.74 has vesa_nolfb. Added failsafes and fixes for several Add-on's that might get added by user. added support for custom Map folder, in Play a Map Menu. Default = MAPS. and list all the maps in the Listbox below. Fixed Manual not opening in Xp and Newer versions of adobe pdf reader. Fixed Start Game button from a double click starting the game twice. over to clients on when using Remote Start. Added Tc Mods for single and Multiplayer. Which increased the size of Download:). Added Remote Start Client in Multiplayer for the Host to remote start the Clients. disabled in BloodLauncher program It will not matter. Made alot of Changes to Make Blood Dosbox Launcher Look and Work even Better! Removed Batch file Operation. Runs without Windows Dos command promt. Fixed Minor bug with Level Selection. updated Blood Logo with Better Look. 1: Blood dosBox Launcher can now be install in any folder that has Blood installed. 2: Fixed Level, Steamboat for cryptic Passage not loading. 3: Added DosBox config Button. 4: Removed Sounder.exe. No longer needed to play sound fx. New Version of Blood Dosbox Launcher available. Now works in any directory blood is installed in. Fixed minor Bugs when running in XP. If you Downloaded 1.4, please re-download 2.1 FULL My Bad, had to fix a bug for loading levels. Added support for GOG.com version of One Unit Whole Blood's Really long Install Path. Released New version of Blood Dosbox Launcher V1.6. Hey this works like a charm! Great job! and it even has the mouse fix and the great looking and easy to use menu! Really awesome job there! New Version of Blood Dosbox Launcher V3.0 released today. Added Tc Mods add-ons support in Singleplayer and Multiplayer. Mods supported are included in download. Added New feature so that Host can now remote start all clients in Multiplayer game. 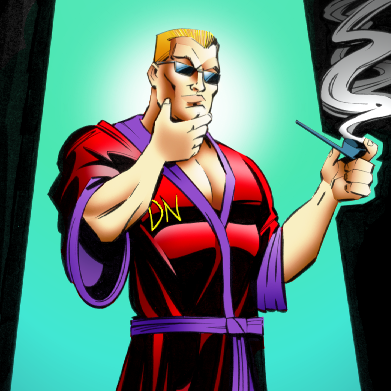 Duke Nukem, Shadow Warrior, and Redneck Rampage Dosbox Launchers Comming Soon! Probably due to "mods supported are included in download." Seems a bit counterproductive to me. over to clients. When using Remote Start. GOG version is the Best and Easiest way to go. for the patches that run after install. After inserting CD give a little time for cd rom drive to read disk before hitting OK.
All or if any Updates will be just a small download from here out. Strange question maybe, but it is better to take your launcher with the add-ons or the one from http://blood.nanoaugur.net/ ? other blood launchers. I might even still have the Gamemenu95 file and a registration key for it. select the ini file and launch the game. Nice to have something new to play. Blood Dosbox CD Music Tracks files Bin\Cue. For anyone who installs from cd. Not needed for GOG Download version. Please reupload, Megaupload is DOWN! Note that it does not includes the CD Music and/or the Addons but it may be useful until Skulldog reupload all the stuff correctly. - The MIDI or CD Music doesn't play when you start a game by selectind a specific level or map (Play Level and Play Map menus). - There is no difficulty selection option in both Play Level and Play Map menus. - Some level pics are wrong in the Play Level menu (Episode 5 - CP04, don't forget checking the others). - Remove the "Tada" sound when you execute the Launcher, that's REALLY annoying! - USE THIS IMAGE (belive me, this image is from far better) in the main screen instead of THIS, but don't forget resizing it proportionaly, anyone can clearly see that the image was stretched to the sides, adapt the window to the image. Hopefully Skulldog will see this and fix the download links. I did not know about the megauploads problem. And I will make some updates and fixes. I did not know about the megauploads problem. download into several parts to make the 200m limilit per file. Here is the new version without addons and music bin\cue file for non-gog game version. Will add addons in 5 part download zips as soon as upload is done. Maybe he's working on but he does not hold a dev diary here ^^' Or life commitments also take some place. command. It will take me some time to type it up. I'll get v4.2 up soon as I can.